So after plenty of build up and waiting for all the other presentations to finish, the E3 Nintendo Direct is now a matter of hours away. It's a diversion away from the live presentations of past years, but as a pre-recorded and scripted video it has the potential to be a well-paced extravaganza; we hope it'll seize the day for Wii U not just within our community here on Nintendo Life, but with the media and consumers around the world. And Nintendo knows what it's up against. Sony and Microsoft have both pitched their new systems, with intriguingly mixed results. Microsoft focused on games, which is clearly important after its TV-centric reveal weeks ago; yet, it came in with a whopping retail price of $499 to accompany its various controversial DRM features. On Sony's part, it revealed that DRM and always-online wouldn't be an issue — as if that's even a feature — and undercut Microsoft with a price of $399. What's unlikely is that Nintendo will directly respond to what's happened elsewhere, particularly the sub-$400 PS4, as it may be a largely pre-recorded affair. With that said, there's scope for Nintendo to have a live segment somewhere in the stream, with all three major figureheads — Satoru Iwata, Reggie Fils-Aime and Shigeru Miyamoto — at E3 to do the rounds with the media and show a presence at the booth. Nintendo, as is often the case, has been very careful with the information that it's revealed about what's coming, so in truth it's difficult to know how it'll be structured. We do have some certainties, however, so below is what we expect to appear in the Nintendo Direct broadcast, along with a few of our hopes. You may notice we're focusing exclusively on Wii U, meanwhile; ideally Nintendo will make this a Wii U-only broadcast with a follow up 3DS equivalent on Wednesday or Thursday, but we'll have to wait and see if that comes to pass. So yes, games. Wii U's struggles to date can't be pinned on one reason, but we can safely say the the software to date has been a major contributor to what's been a launch well below Nintendo's own expectations. Despite some titles that are undoubtedly of a high standard, none so far have been significant mainstream system-selling success stories, which is what Nintendo aims to deliver in the coming months. And deliver it will, it seems. In the coming weeks and months we have dates for New Super Luigi U, the long awaited Pikmin 3 and the exciting Platinum Games title The Wonderful 101; Fall is also expected to bring The Wind Waker HD and a number of third-party efforts — despite the disappointing lack of additional multi-platform games supporting Wii U so far at E3. Our hope is that games just around the corner will be advertised as such, with a snappy sizzle reel to remind us of what's coming before promptly moving on. It seems safe to assume that most really want to see more of games either teased or briefly shown before. Top of the list, two of which are anticipated to arrive this year, are Super Mario 3D and Mario Kart, while footage of Super Smash Bros. is likely to be a major high-point despite a 2014 release, at the earliest. Whether one or both Mario titles arrive this Holiday season, they'll be hugely important in driving festive sales, so the footage will need to have a wow factor that shows not only the Wii U graphical power at play, but perhaps more importantly how the GamePad will be utilised for a unique gaming experience. There's a long list of other games that could be shown, some of which may arrive this year and others likely to be in 2014. We're may not see them all, but examples such as Yarn Yoshi, Monolith Soft's X, SEGA's Sonic Lost World and Platinum's Bayonetta 2 would all be welcome in some form, as they're all exclusives and full of promise. And then there are surprises, or so we hope. One priority for a number of Nintendo gamers must be to see the next project from Retro Studios. Its work has been tightly under wraps, so it's unknown whether it'll be a new IP or another new take on an existing franchise. It's not officially confirmed that Retro Studios will feature, but the time seems ripe after over two years of near silence. We also hope for at least one additional third-party exclusive — that may seem unlikely after the Wii U's near-total absence in EA and Ubisoft's presentations, but we'll stay optimistic for now. This seems like a foregone conclusion, with it already confirmed for Japan and it being a logical step, so we expect this to be formally announced. Recent revelations suggest that the role of the Basic 8GB model will become much less; it may not be a full product recall, but stock levels are likely to be lower with a greater focus on the Deluxe. Japan is also receiving a GamePad battery, so that seems likely to be localised, and if affordable will help to address a common complaint with the controller. We may see some extra Wii Remote + Game bundles, too — the Nintendo Land offering in Japan is unlikely in the West as it's a Deluxe pack-in, but an option with New Super Luigi U and/or New Super Mario Bros. U would make a lot of sense. We do feel, with the pricing of Xbox One and PS4 at $499 and $399 respectively, that it would benefit the Wii U Deluxe to be $299, necessitating a $50 price cut — making the Basic $249. It would look appealing on a retail shelf to see the Wii U a full $100 lower than its nearest new rival, especially if a bombardment of major releases will signify, symbolically, a second launch for the system. A price cut, combined with Mario titles, was a significant success for 3DS in the Holiday season of 2011, so applying the same logic again wouldn't be surprising. If Nintendo does plan a price cut, what's uncertain is whether it would be announced today, or delayed for a future announcement in a few week's time, as was the case with the 3DS in reaction to Sony's Vita pricing announcement at E3 2011. This is speculative, of couse, and Nintendo may decide to stick the course with its current pricing, but it seems like a logical possibility. So that's some of what we expect in today's E3 Nintendo Direct. We also expect, most of all, that it'll be hugely exciting. The last time Nintendo went all out with a Wii U Direct in January it caused waves around social networks and among Nintendo fans; if it can capture some of that magic today, it could be memorable. So what do you expect and hope to see? Let us know in the comments below. Yea, I do believe that games sell a system, but your right that the Wii U will now need a price cut in the face of Sony's pricing. I dont expect a direct price cut but "attractively priced" pack-in bundles, like a Mario Kart set, that basically boils down to a 50$ discount. It seems to me that Nintendo is ditching the basic console, and will indeed sell the deluxe for $300, with no basic console existing anymore. Considering the power of the ps4 the wii u will need a price drop. If they drop the price they could potentially make it appealing for ps4 buyers, especially if the ps4 will suffer similar dry periods. Obviously Big Franchise Titles, Probably a game or two that confirms Nintendo's and some WiiU supportive developers statements that the WiiU is Not underpowered compared to Xbone/Ps4. Got a sneaky feeling there will be A game supporting dual gamepads which will also be bundled with a gamepad aswell as being available seperatley. Possibly Achievements, Party Chat and unified account system as its a strong rumour these features are heading to WiiU and with 3ds getting Nintendo Network id's it seems logical. Nintendo in reaction to Ps4 price announcment may declare a price cut, tho unlikely, I would expect that in a month or to as Ps4's launch nears/at the run up to christmas. A price cut or great bundles are needed. Right now this could turn up to be a new PS2-like generation for all involved. Yes, all the things you said. AND third party/multiplatform games. Lots of them. I don't really care for multiplatforms really i buy a console for them exclusive but we already need those exclusives so show them and show them good. That game pad is huge!!!!!!!!!! Either that or he is a smurf in disguise. I want to see new stuff. Stuff I can't even list because my brain is now awesome enough to imagine it. Something more than 'the next iteration of this 25 year old franchise. Price cut, price cut, PRICE CUT! Is that the only think the NLife team talks about??? Have you completely forgotten that this is the Big N we're talking about? A price cut for the handheld was a logical move because the 3DS didn't have anything going for it at the time. You're basically asking Nintendo to shoot itself in the foot, making the Wii U Basic $50 more than the 3DS XL. I want to see more on Yarn Yoshi and Monolith Soft's new game. Mario Kart U and perhaps Zelda U. Super Smash Bros., I can't wait to see this!! There will be a price cut, but it wasn't needed until after MS/Sony revealed their prices. I'm still in minor shock over Microsoft, their arrogance, and how they learned NOTHING from past Sony and Nintendo mistakes. I almost can't wait for a year from now when they announce a price drop for the non-selling Xbox1 with a dumbfounded EA standing next to them, sweating. Couldn't happen to nicer companies. If Nintendo concentrates on games and throws in a few surprises, I think they'll be fine. More Zelda and Mario please! I am still wishing on a new Starfox and F-ZERO, which would work fantastically with the Wii U tablet controller...so many possibilities! I think an achievement/trophy system could work, however I think Stars and Coins might reference other things in the Nintendoverse commerce. Maybe they can use Shine Sprites or something? I firmly believe that this year we will only get Zelda HD remake and Rayman Legends, Pikmin 3 and Wonderfull 101. All games that we should have gotten already, and altho i am excited for the WIndwaker remake, it's still jsut a remake. I love Ninteno, but being an early adopter hasn't payed off. Not a single game on the console that has gotten my attention. Still waiting on my promised launch window games!! hmm, Mario Kart you say? Would love a new Pilot Wings title but I guess that's not on the radar at present. only 2 more hours till awesome! @Peach64 even if you're not into the genre, watch the 3-5 minute clip for Metal Gear Solid V.
Something sort of that amazing but with less of the trademark cut-scenes? Mega Man, Little Mac & Mike Jones making an apperance in SSB4's teaser trailer. An exciting, colorful and in your face presentation! Howard Phillips/Nester making a suprise appearance! Just been to Argos and the 32Gb Nintendoland Wii U pack is down from £309 to £299! Only 1:30 to go. cant wait. I really hope that they will announce MGSV for Wii U! I find it hard to believe that hardly anyone has mentioned the next gen Zelda title yet. It's due in 2014, lots of other developers are showing their 2014 games already. A possibility we might get some teaser? And while I don't necessarily feel it's Nintendo's style to show a title like that so soon, I would certainly be more than happy to just see a piece of concept art and a final name. Just one hour... Darn, kindle is at 5% charge, my mom and dad have the charger, and they're asleep. I guess it maybe a while before I watch the video. I don't mind missing the live presentation. I am so interested in finding out what Retro's new game is gonna be. If it is something completely new, then I am hoping for another sci-fi series. Not something similar to Metroid (That would be great though), something new. Dang it only one more flipping hour, i thought they said it was going to be at 7:00, its 7:09 here. I agree a price cut is needed especially in light of MS/Sony's pricing. Nintendo have no alternative but to go all out and really wow us. I'm hoping for a 3D Mario reveal and a new Metroid game - from Retro. A new Metroid in the same style as Prime just seems such a no-brainer for the gamepad. These are system sellers for me. Some proper footage of Wind Waker HD is probably a given but I would welcome it. Also some concrete info on the new Monolith Soft game. "What's unlikely is that Nintendo will directly respond to what's happened elsewhere, particularly the sub-$400 PS4, as it may be a largely pre-recorded affair" --> commercial espionage. I am pretty sure that Nintendo knew about the price tags of other consoles a long time ago. Footage (& release dates) for: Bayonetta 2, 3D Mario & Mario Kart U.
GameCube titles on the VC. News of further Wii U console improvements. New Donkey Kong Country, Punch-Out!! & Mario Golf/Tennis for the Wii U. Finally, Luigi's Mansion 2 being ported to the Wii U.
I'm hoping Ubisoft and other 3rd party publishers have been asked to hold back some WiiU game announcments for Nintendo Direct and Nintendo's own E3 showing. Considering How Supportive Ubi have been towards the WiiU it does seem strange that there wasn't more on show, however the on-stage focus was all about Xbone/Ps4 so in a way it makes sense to wait to a time during e3 that is more focused on WiiU before any bigger WiiU reveals, what Ubisoft shown for WiiU was after all pretty much already known about or Multiplatform. As for EA... well thats not a suprise. @GiftedGimp If Nintendo made an achievement/trophy system...I would totally make it my main console. Yes I've been spoiled with them. 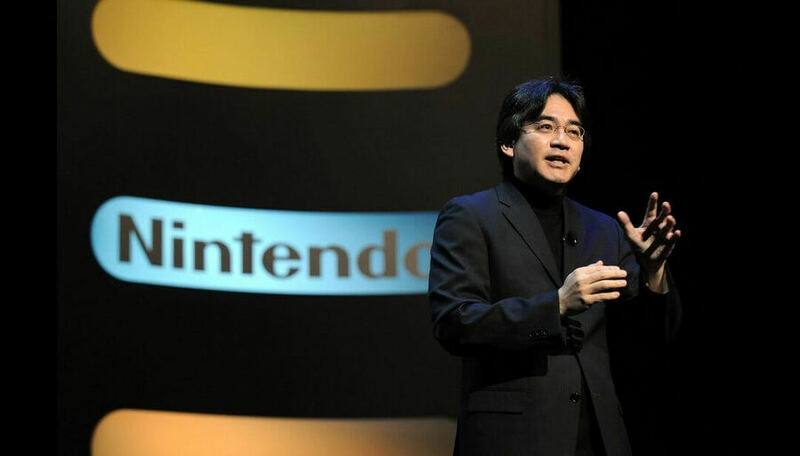 However, Iwata already said that it won't happen. He'll leave it to the developers to put in game achievements at their discretion. Oh and if Ninty was to do a price slash (that would be extremely smart seeing where Sony is right now) they will do it in the holiday to solely compete with the sales of the PS4 whilst capitalizing on the 1st party titles that would push the console. Nintendo is actually in a VERY good position. If they market themselves properly....it will be Sony and Nintendo with Microsoft in last place. This is good times for gamers! Oh and they (MS) completely obliterated my heart by saying Killer Instinct is not being made by Rare and it's F2P. Buying characters and stages. Rare should see MS for who they are being right now..GREEDY! I'm sorry to say I do not like the Wii U but I do know some do and they want more games but I think Nintendo should be looking at keeping the good games coming for the 3DS and get more third party/multiplatform games on to it. I want them to bring out a body bag for ﻿the Xbone! Am I correct in thinking its a 90 minute direct @anyone? @Peach64 - Nice list. I thought I was the only person alive who would want more Starfox Adventures. Less Tricky (or whatever his name was) though. I need a Pikmin 3 bundle. I've been waiting almost exactly 12 months for a WiiU Pikmin 3 bundle w/ a packed in Pikmin doll. Does Nintendo ever do collectors' editions? Though if the Mario games - Unchained and Kart - aren't out until 2014, then yes WiiU needs a price cut. After watching the other 2 yesterday I already predict this wins. It should anyway. And I hope they don't spend too much time on Disney Infinity and Skylanders though they should get a mention in a 3rd party segment along w/ AC:4, Batman, Watch_Dogs etc. Nintendo shouldn't only be about 1st party. I would like some Pokemon Rumble toys though. $15 DL game gives my kid some extra money for toys. I'm hoping they reveal the Retro project as that guarantees a surprise. If Wii U wasn't profitable until a game sale, PS4 must be selling at a loss or, at the very least, for cost. I figured XBOX One would be more expensive with bundling a Kinect in every box. That $400 price put more pressure on Nintendo than it did MS. I wouldn't be an early adopter of either. Destiny and titanfall come out in 2014 at the earliest. This could be Nintendos year if they price cut and give us a game of games. I definitely see Nintendo slashing off $50 from the Wii U deluxe set. Without a price cut, people will be willing to pay an extra $50 for ps4. If they don't lower the price, then the ps4 will be the first console I buy this gen.
Keeping expectations in check. Everyone should remember that even if this show tanks, Nintendo still has plenty of software coming. owning 2 wii u (basic and deluxe) at least i hope they announce co-op with 2 wiiugamepad at the same time! then gamecube VC and supernes for 3DS and im sold! @Mk_II That's a pretty neat idea. Maybe they could also have Basic bundles and Deluxe bundles? The Basic bundle is already $100 less than the PS4, and the 3DS was a different story because it was priced exactly the same as the wifi Vita. It might still get a price cut, it might still succeed or fail. The Wii U will succeed because not the 3DS, but because the Wii U. @HeatBombastic something along those lines... Bundles are the best way to sell new consoles and Nintendo knows this like no-one else. Remember the NES Action set? the SNES bundled with Mario World or Street Fighter? A Mario Kart bundle seems like a no-brainer... imagine how many they could shift this holiday season! @hydeks Especially after they made it f2p. With purchasing characters and stages and Rare didn't make it. That only made things worst. Microsoft defeated their own selves with GREED! @Hydeks two words: Technical difficulties. @hydeks They had a better presentation for the games. It wasn't as slow-paced as Sony and they showed games we haven't seen yet. Sony's games most of which we already knew were exactly being made. Sony won on the console side, of course (but they talked about THEIR multimedia features). Microsoft didn't even mention anything to dislike, or much of the console itself since it was covered in the reveal. What people are saying is that Microsoft had a better conference because of the quallity within that conference, not something that's irrelevant, i.e. the consoles negative features. I thought I'd be able to watch the Nintendo Direct, but I can't. CURSE YOU SURPRISE EYE-CHECKS. They better still have this ND on the 3DS eShop because if they don't 3DS owners won't know what's new for WiiU to actually buy it. A price cut and having some first party titles out before the holiday will make this the more appealing system for family homes. No point in buying a new system for your family if there are no games. I want to see Kirby, Zelda, Sonic, Smash Bros, Star Fox, Metroid, and...yeah, this isn't going to happen...but I want to see Mega Man too. I expected a lot more!! I have to admit I am a bit let down by all of this. No real surprises. The Monolith title looks okay, but we saw that coming. DKCTF was unannounced, but there is no surprise that another one of those is coming out. All the games look fun, and they will be, I'm sure, but I don't see them giving the boost the system needs. This coupled with the fact they are pushing two title further into the future, Wii Party U and Wii Fit U, it just leaves me shaking my head. Big let down, and titles like Mario Kart & Bayonetta 2 a year or more away, ridiculous IMO. I think Nintendo basically could have held back the release of the Wii U for another year in all honesty, they have gained nothing from the head start they've had over MS/Sony IMO. Nothing good is out for a year or more, no major system seller in sight, and things like the VC is still complete c**p! with it's ancient games. As a Nintendo fan since the days of the NES, I'm "VERY" disappointed. and so you can also forget 2013. Great Nintendo. See you (maybe) in 2014. Oh boy. ZERO Innovation! From Nintendo! How can anybody be okay with this? 3rd Parties had nothing new to show and Nintendo can't fill the gaps by themselves. What were they doing since they stopped releasing games for the Wii? When was that? 2011? It was pretty lame compared to Sony's to be honest. Talking Point: Could We See Mario Kart Tour At Apple's Event Today?